Recently I had the privilege of attending an event at the spectacular new David Webb store on Madison Avenue. In the former U.S. Mortgage & Trust Building across from the Whitney Museum, the space has been exquisitely renovated by the stylish team of architect Peter Pennoyer and wife, interior designer Katie Ridder. On the main floor is the stunning boutique where shoppers are enveloped in luxurious Edelman leather wall panels. Upstairs is the large workshop and elegant lounge for clients. 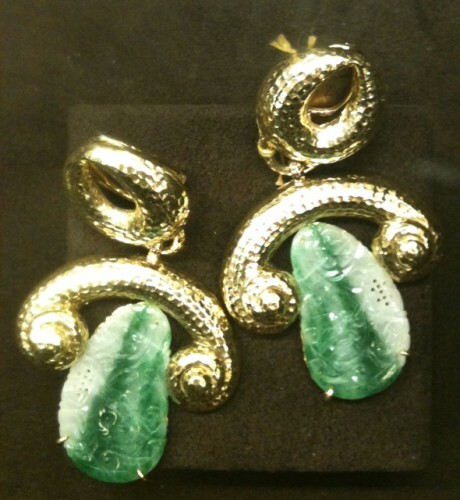 Anyone who loves vintage jewelry knows David Webb’s iconic name. Born in 1925 in Asheville, North Carolina, he left home at seventeen to apprentice with his uncle, a silversmith. A couple years later, he moved to New York and soon met Antoinette Quilleret, a Frenchwoman who traveled in all the right circles. 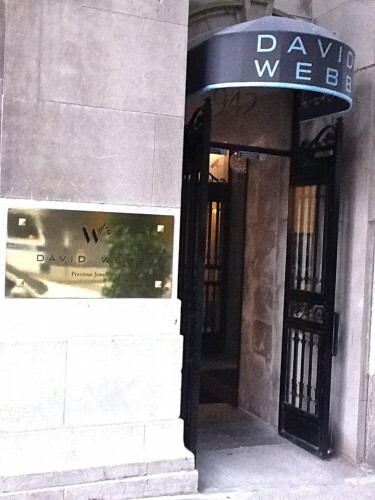 She immediately recognized his talent, and along with Nina Silberstein, who acted initially as accountant, they formed David Webb Inc., setting up shop on 57th Street. Several years later, Silberstein and Webb bought out Quilleret, continuing together to form the legendary company. 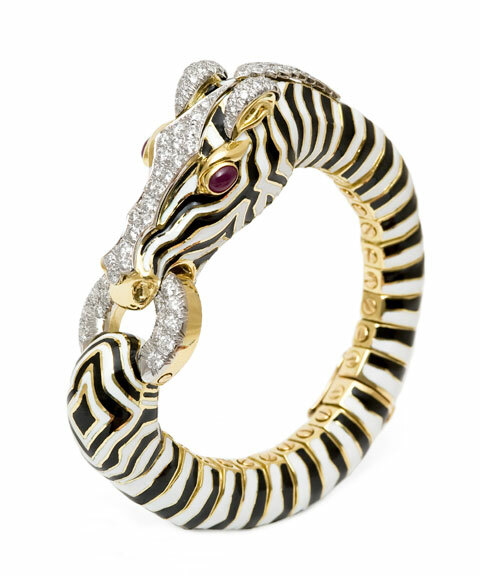 Webb’s bold distinctive designs were admired and worn by such stylemakers as Jacqueline Kennedy Onassis, Lee Radziwell, Elizabeth Taylor, the Duchess of Windsor, Doris Duke, Gloria Vanderbilt, Nan Kempner and Diana Vreeland (the zebra bracelet below was made for her). Today’s young collectors include such fashion plates as Tory Burch and Aerin Lauder. Webb passed away prematurely in 1975 of pancreatic cancer, but the business was carried on by Silberstein and her family until 2009. Then last year Webb was bought by Sima Ghadamian, Robert Sadian and Mark Emanuel, a gracious group who I met at the gathering. Together, the trio embody more than 75 years of combined experience and expertise in estate jewelry, rare stones, natural pearls and diamonds and are enthusiastic about revitalizing the iconic brand and introducing it to a new generation of stylemakers and collectors. During the sale, a group of 50,000 archival drawings was discovered. Only 10,000 of these designs had ever been produced, so expect to see these pieces gradually introduced into the line. I will be revisiting the store and workshop to give a more in-depth look at the heritage and future of the brand. In the meantime, here are a few of the gems I snapped the other evening. 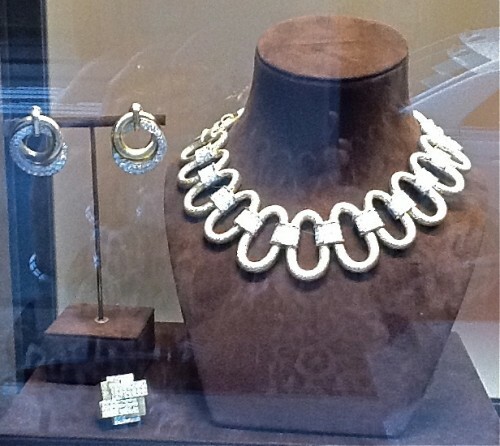 This entry posted in fashion, jewelry. Entry Tags: David Webb, Katie Ridder, Luxury Jewelry, Madison Avenue, Peter Pennoyer Bookmark the permalink. What beautiful jewelery in a spectacular setting! Very cool and lucky you getting to see it first hand. PS Of course I am picking out black and white stripes, I am so predictable. So beautiful. I LOVE the zebra bracelet of course! 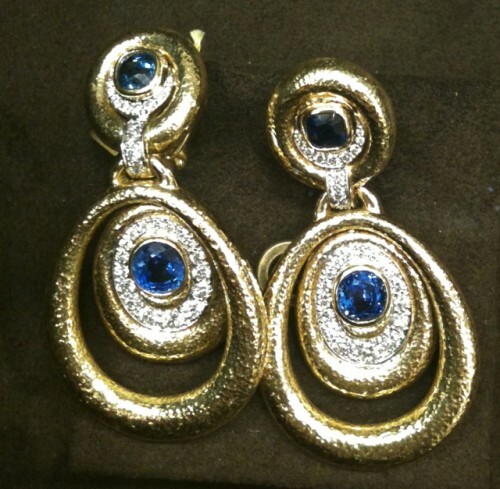 Pennoyer, Ridder AND David Webb jewels…dying!!! Lovely! 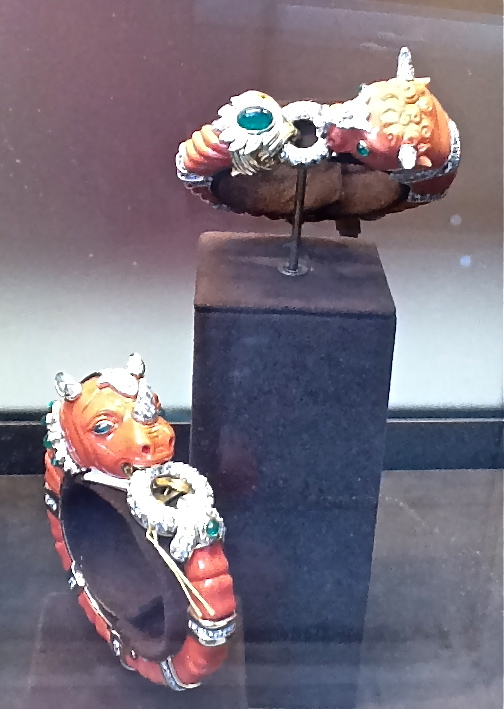 I have long admired the David Webb bracelets I occasionally see on 1st Dibs – I am always loving the gold animal ones in particular. So great that you visited the store! thank you for the wonderful insider’s peek – can’t wait to visit in person too. How I would loved to have been there! 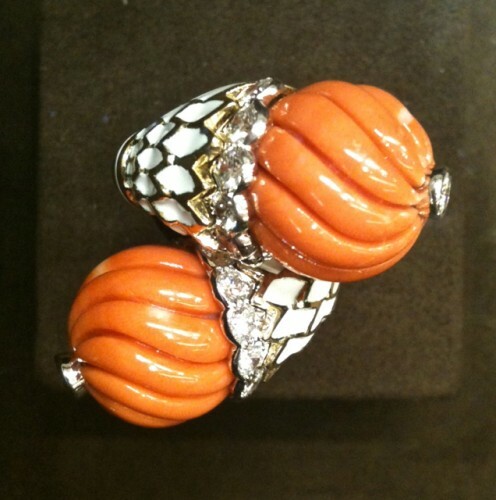 Beautiful vintage jewelry has always fascinated me, long before I was designing. It will be so interesting to see the new designs coming out. Hoping you had a wonderful fourth! You do the most glamorous things! Finding all those designs must have been like a dream come true for the new owners – what a bonus. I particularly like the coral bulls; they remind me of Persia. I love those Edelman leather walls! Such a lovely box for the beautiful jewels! I’m doing a give away on my blog, finally! A flokati rug from my Showhouse room. You go to some of the best events! The jewels are simply stunning! Beautiful gems but I know I can’t afford them but fun to see. Love the new store and those padded leather walls. 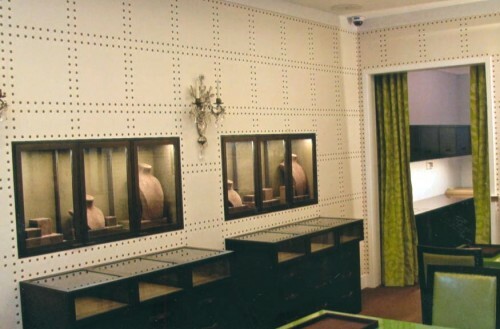 Impressed that they chose Katie & David to design their showroom. The leather walls must of been gorgeous in person if you could take your eyes of the beautiful bobbles. What a who’s-who of women that have worn David Webb designs over the years. What a wonderful event to attend! Hope your 4th was a great one Stacey? What I wouldn’t do for that zebra bracelet….gorgeous! 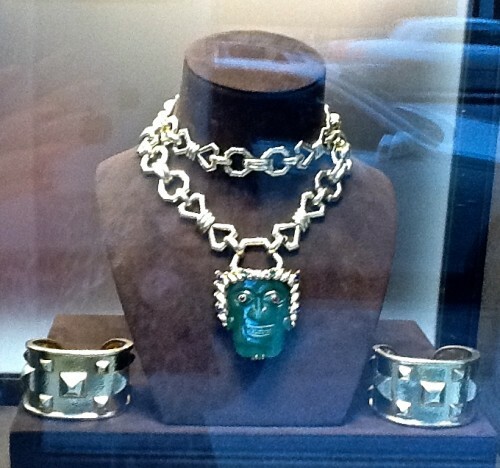 the necklace with the crazy green face………..my favorite! 78 queries in 1.195 seconds.